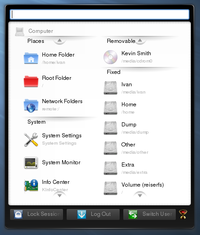 Full Lancelot window showing the Applications category using Air theme. 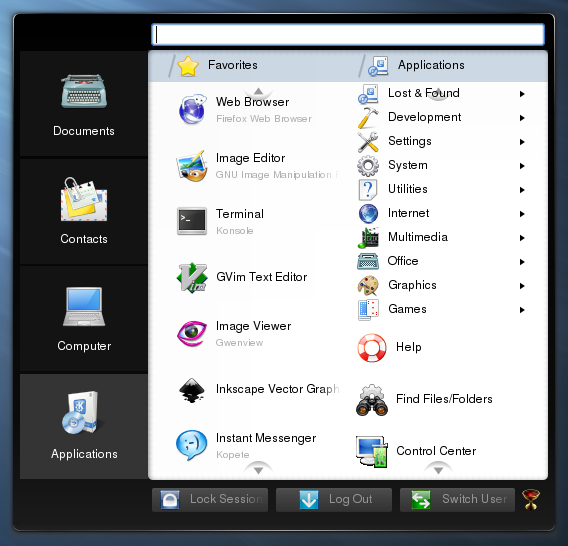 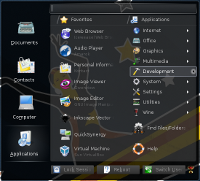 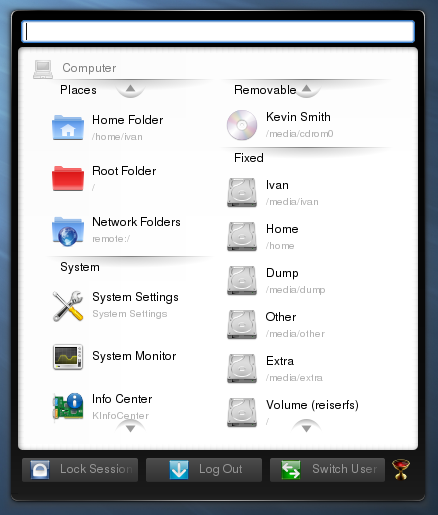 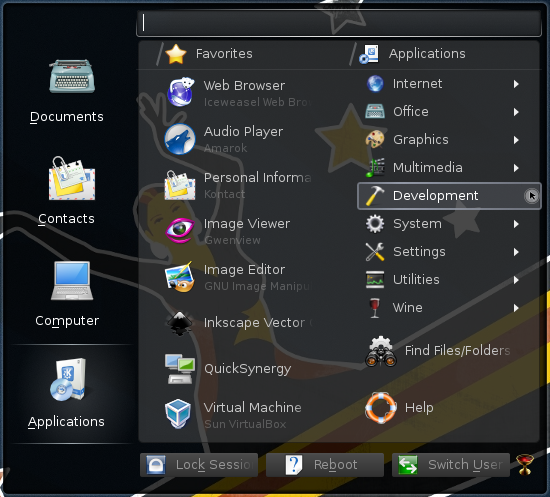 Full Lancelot window showing the Applications category using Slim Glow theme. 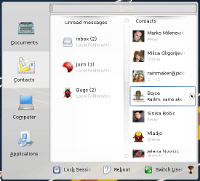 Full Lancelot window showing the Contacts category using Aya theme. 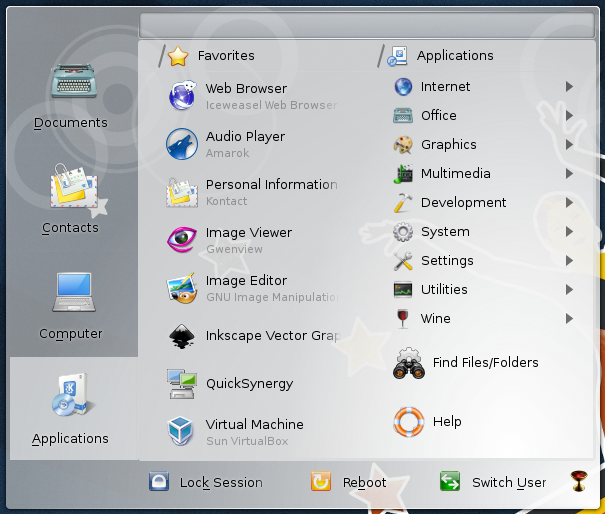 Full Lancelot window showing the Applications category. 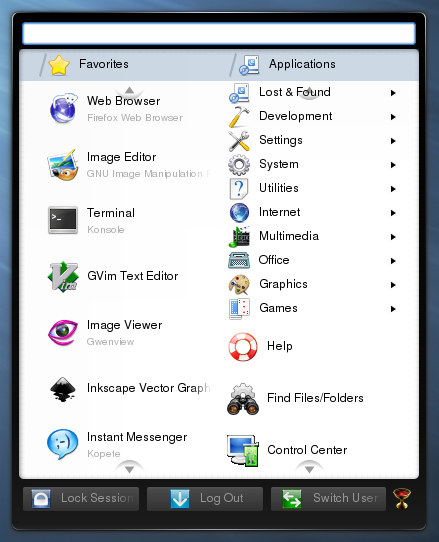 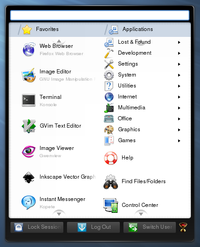 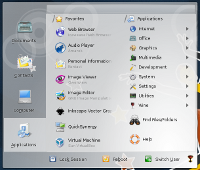 Lancelot window showing the Applications category, without category buttons. 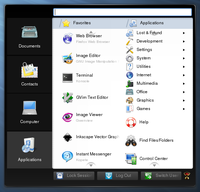 Lancelot window showing the Computer category, without category buttons. 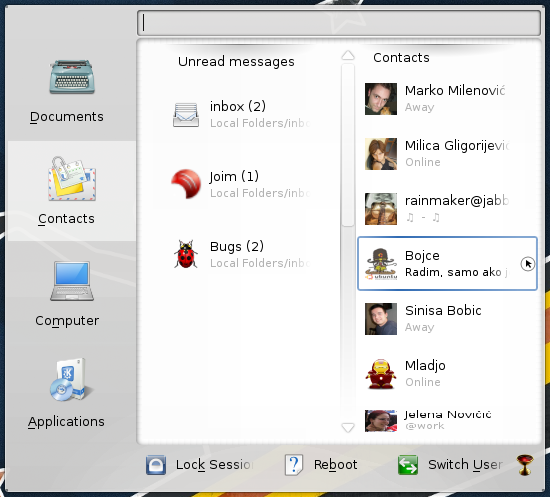 The screenshots of older versions can be found at my blog.